Edinboro sat in the driver’s seat through the first six innings, entering the final frame leading 6-0. Amanda Metz, who relieved Carley Nasca to close out the sixth, struggled with the top of California’s lineup though, surrendering four runs to the first four batters thanks to a pair of homers. Nasca would escape the inning, but only after the Vulcans picked up another three runs thanks to a pair of fielding errors that gave them a 7-6 lead. The Scots began the bottom of the seventh by putting runners on the corners, and Abby Sallot sacrifice bunted the runner to second base. Lauren Gierlak followed with a walk, setting the table for Heh’s late-game heroics. Cal would turn the tables in game two, getting out to an early lead that Edinboro couldn’t catch up to. Brooke Wilson led off the game with a single, but three straight errors helped the Vulcans score two runs before Janelle Allison added another three with a homer to left. Metz, who started game two for Edinboro, then retired the next three batters to get out of the inning. Heh’s quick feet got Edinboro’s offense started in the bottom half with an infield single and a stolen base. She moved to third base on a ground-out and scored thanks to an Olivia Jankowski base hit. Brittany Allen would then hit into a double play to end the threat. Edinboro added six runs over the next three innings, but the Vulcans would push four across to preserve the lead. Taylor Robblee, who also hit second for California, pitched a complete game and retired the final 10 batters in order — including five by strikeout. Edinboro was next slated to travel south for a visit to Slippery Rock Friday, but inclement weather postponed the game, making the Fighting Scots’ trip north to Gannon on Saturday their next taste of action. At Gannon, Edinboro would suffer its first sweep in PSAC play, falling 5-3 in the first game, followed by a 7-3 loss in the nightcap. Jankowski laid down a suicide squeeze to score Heh in the top of the first inning in the first game, but Gannon responded with two runs of their own in the bottom half to take the lead. Jankowski again brought Heh in to score — this time with a double — to tie the game up at 2-2 in the third inning, but Gannon added another three to take a 5-2 lead into the seventh. Pinch-hitting for the pitcher’s spot, Courtney Allen hit her first career home run in the top of the seventh to bring the Scots to within two, a distance that would prove enough to keep Edinboro away. Gannon then got things started in game two with a pair of runs in the first two innings, but Jankowski evened the score with a two-run home run to left field in the fifth. The Knights regained the lead with a run in the bottom of the inning, then blowing the doors open thanks to the long ball in the sixth inning, giving them a 7-2 advantage. 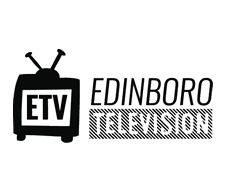 Edinboro again scored a run in the seventh, but couldn’t produce enough offense to complete the comeback. 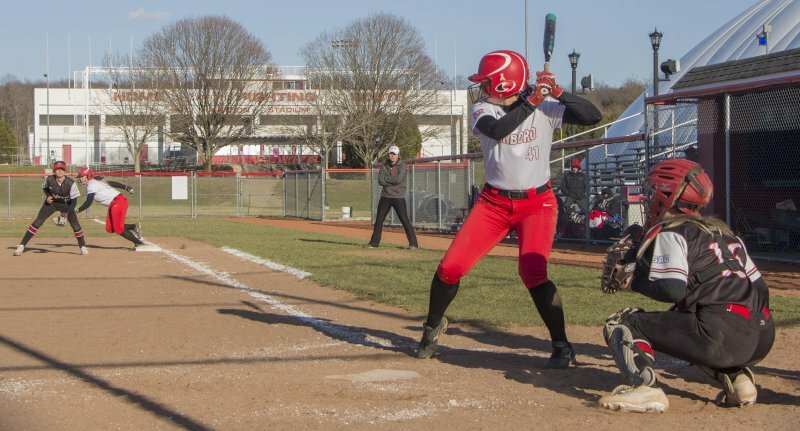 With the weather improving, Edinboro made the trip to Slippery Rock on Sunday and didn’t forget their bats; coming away with a 9-3 win in the first game, followed by a 5-2 win in the finale. Edinboro used small ball and Heh’s speed to again jump out to a 1-0 margin in the first game. Gierlak would then reach on an error to lead off the third inning, and a pair of base hits brought her home. After a failed squeeze attempt by Roni Lipinski, Brittany Allen singled to score Victoria Allocco from second base to make it a 3-0 lead. Both teams traded a run before Becca Roesch brought Slippery Rock to within one with a two-run double. But Allen would homer to left in the fifth, and the Scots had a pair of two-run doubles in the sixth to give them the 9-3 advantage. Allen finished the first game 3-for-4 with four RBIs. Metz earned just her second win of the season when Edinboro completed the sweep in game two. Nasca picked up her first save of the season by earning the final two outs of the game. Jankowski put Edinboro on the board first with a successful suicide squeeze to plate Heh in the first, but the Rock tied the game in the second with a home run. They then earned a 2-1 lead in the third with an RBI base hit. Cheyenne Bothun responded with her second home run of the season to re-tie the game in the fifth, and a Jankowski RBI single helped Edinboro to a 3-2 lead. Two runs scored in the sixth after Bothun forced an error by the second baseman to cement their lead. Bothun finished 2-for-3 with a run and RBI in the second game. Jankowski went 2-for-2 with the sacrifice bunt and a walk in the effort. Over the six conference games, Jankowski went 12-for-17 with a home run, three doubles, eight RBIs and a stolen base. That performance earned her PSAC West Softball Athlete of the Week honors for the third week in a row. Edinboro improved to 4-4 in conference play, placing them in a four-way tie for second place in the PSAC West. Seton Hill leads with a 5-3 record. 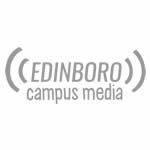 Edinboro traveled to Ursuline College Tuesday, earning a non-conference sweep as Jankowski hit a grand slam in the first game and Metz struck out eight batters in the second game. 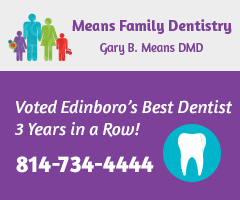 The wins evened Edinboro’s overall record at 13-13. They return to ‘Boro for a 16-game homestand beginning on Friday, when they’re scheduled to host Mercyhurst at 2:30 p.m. and 4:30 p.m. They will host Seton Hill Saturday and Clarion Sunday, with the first games slated for 1 p.m. and the second games scheduled for 3 p.m.